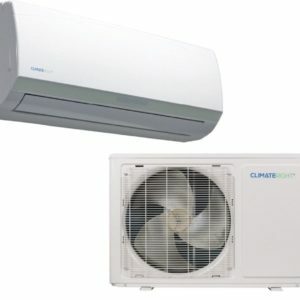 The ClimateRight CR10000ACH air conditioner and heater features 10,000 BTUs of air conditioning and heating. Mounts outside of your enclosure. Out of sight. Out of the way. Quiet. Most unobtrusive installation. Just drill two small 5” holes through the wall for ducts. Say goodbye to ugly window units and extensive installations. Portable. The customer cart (sold separately) does the portability work. Easily and affordably cool and heat your garage, cabin, tiny house, or living and work shed. It is specifically designed to sit outside of the space to be heated and cooled to maximize floor space and minimize noise. An electronic thermostat features Heat, Cool, Fan, Dehumidifying, Auto and Sleep Modes. The unit also includes an Auto-On and Auto-Off timer, three fan speeds and comes with a convenient remote control. An optional Handle and Wheel Kit makes the CR10000ACH a truly portable unit and allows for quick and easy offseason storage. DIY installation is simple thanks to a standard quick connect 2-air-hose system, which is included, as well as a building flange kit designed for installation through walls made of wood, fiberglass and metal. All control functions are performed using the included remote control. 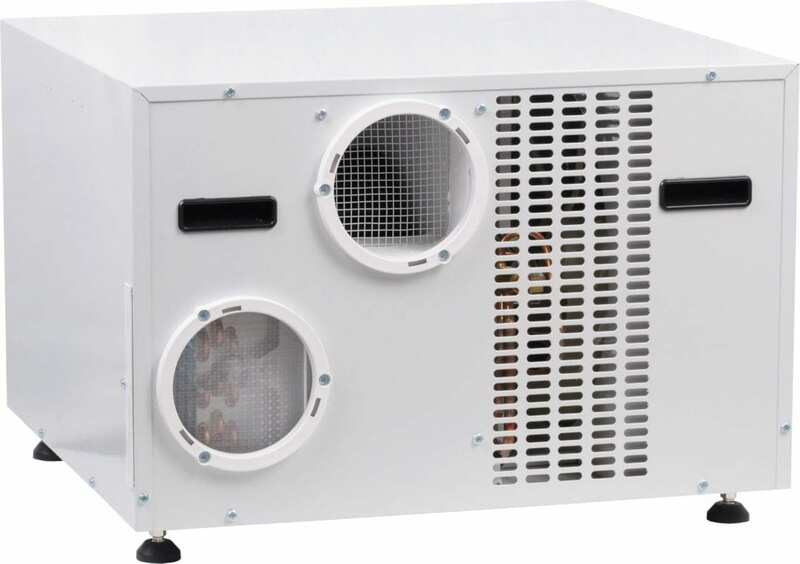 ClimateRight CR10000ACH works for rooms up to 450 square feet (about 3,600 cubic feet maximum). You will mount the unit outside your enclosure by drilling two 5” holes through your structure. The hole saw you use does not come with this unit. Be sure to use the proper hole saw (dry wall, brick/concrete, wood, etc). 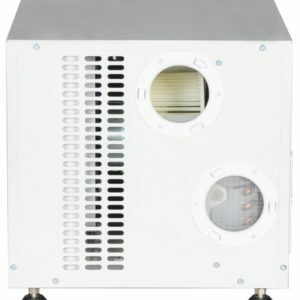 Cooling Capacity (Room Enclosure Size) * 2,400 cu. ft.